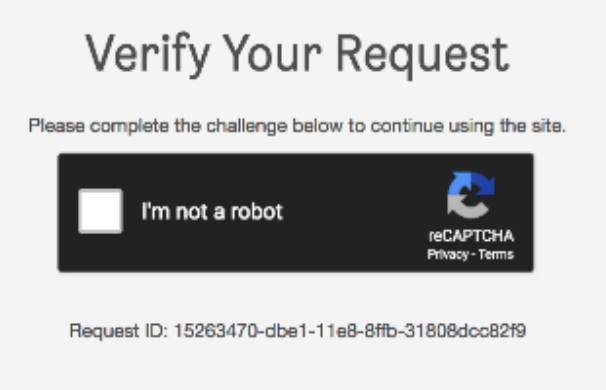 Why am I being asked if I am a robot? If you're being asked to verify your request and complete a challenge, it may be because you are using a VPN (Virtual Private Network). Some VPN software will connect you to a blacklisted IP address which will trigger the CAPTCHA request. The first thing to do is check if your VPN is on and try searching with it turned off. If you're still having issues after turning off your VPN, try clearing your cookies and cache or jump into Incognito Mode (for Chrome) or Private Mode (for Safari). If this doesn't resolve the problem, please contact us by clicking on the link below so we can troubleshoot with you.